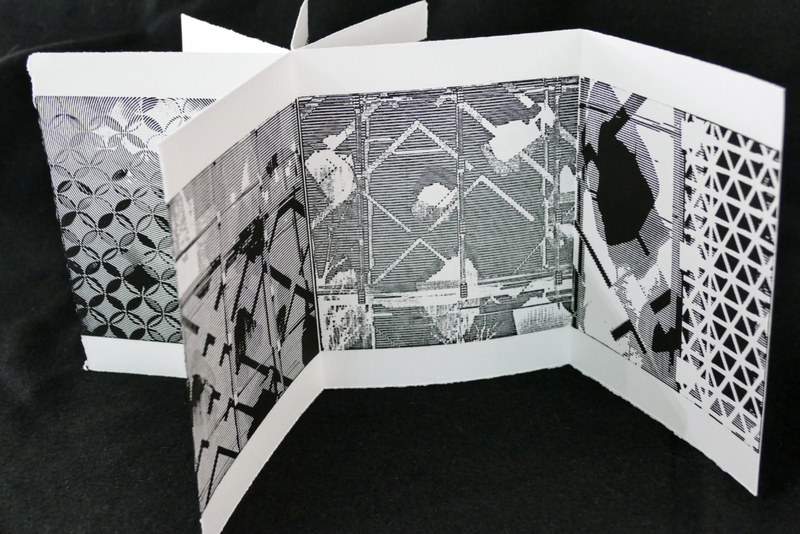 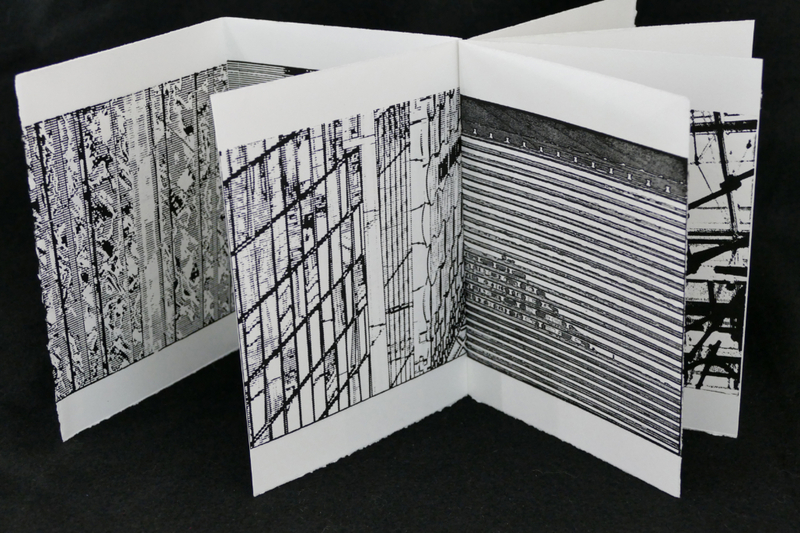 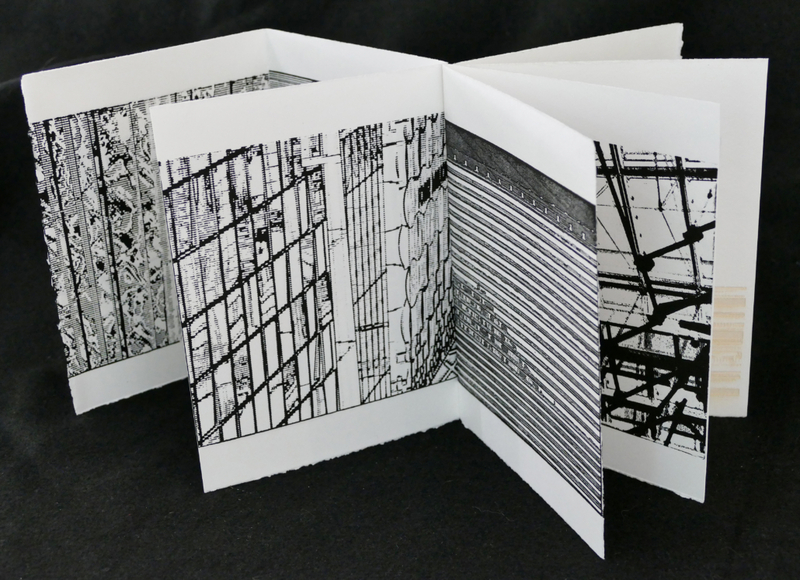 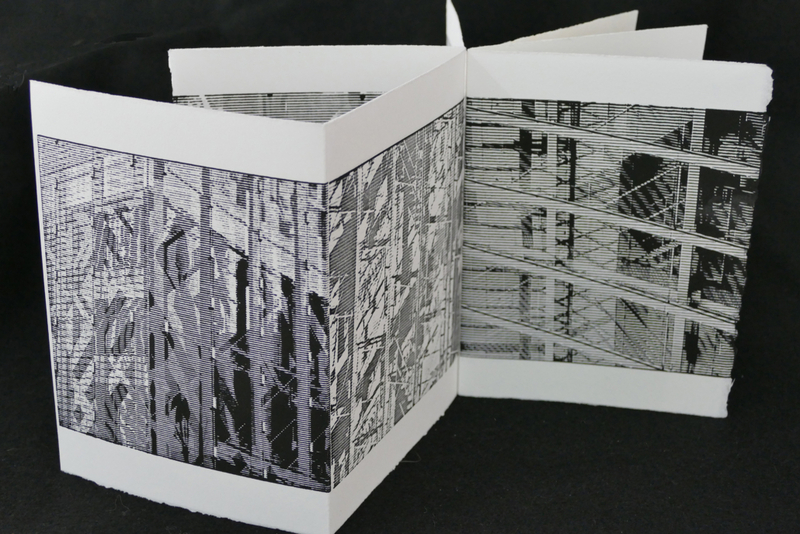 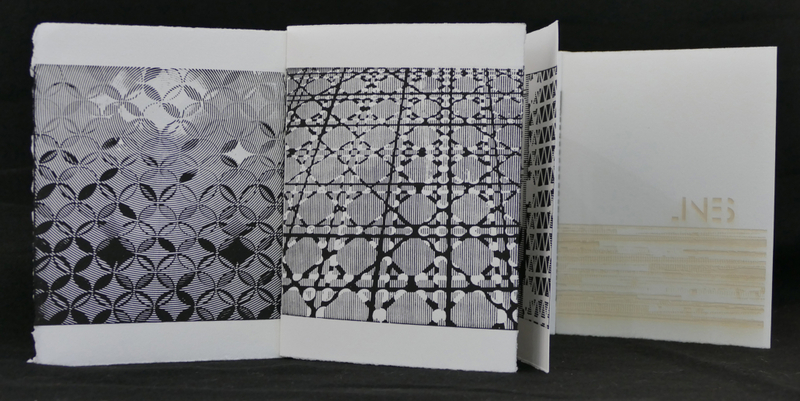 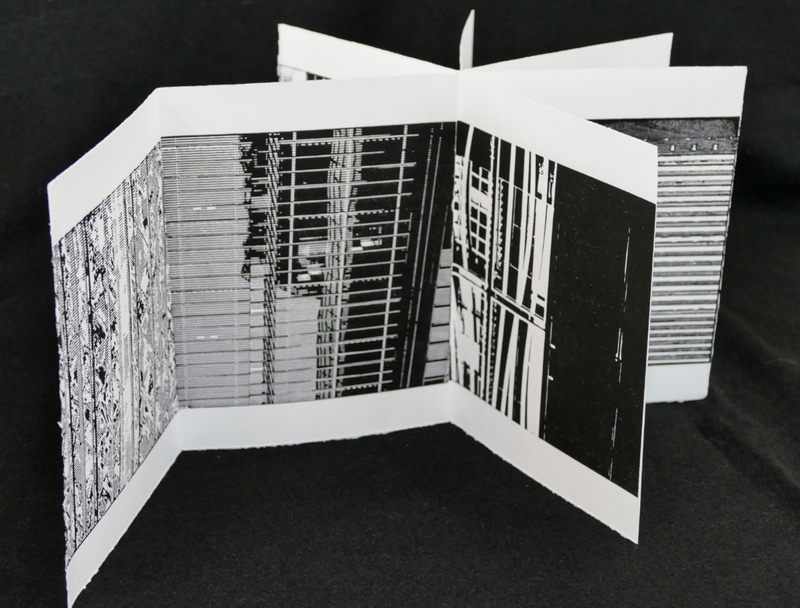 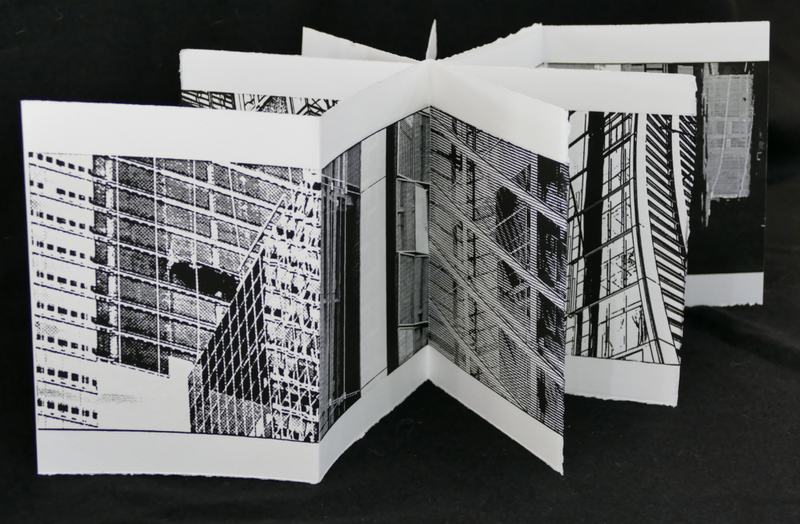 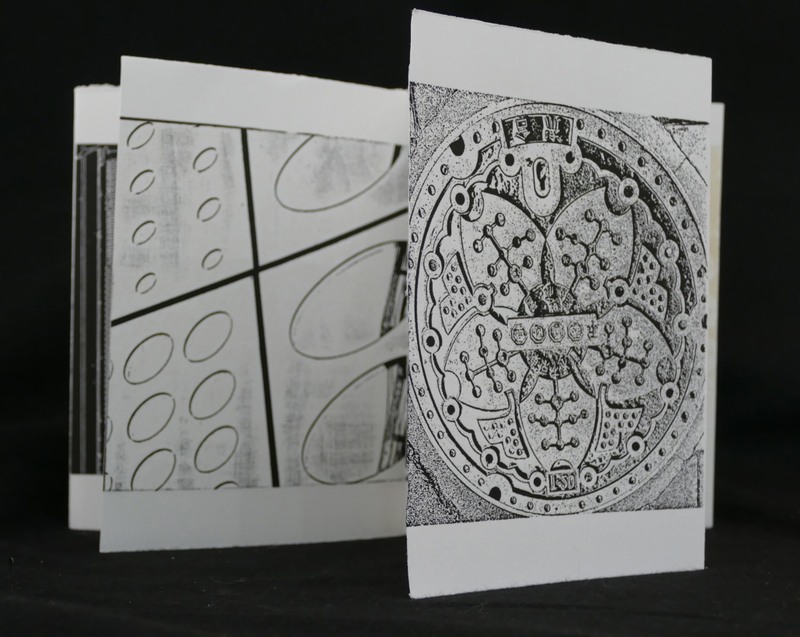 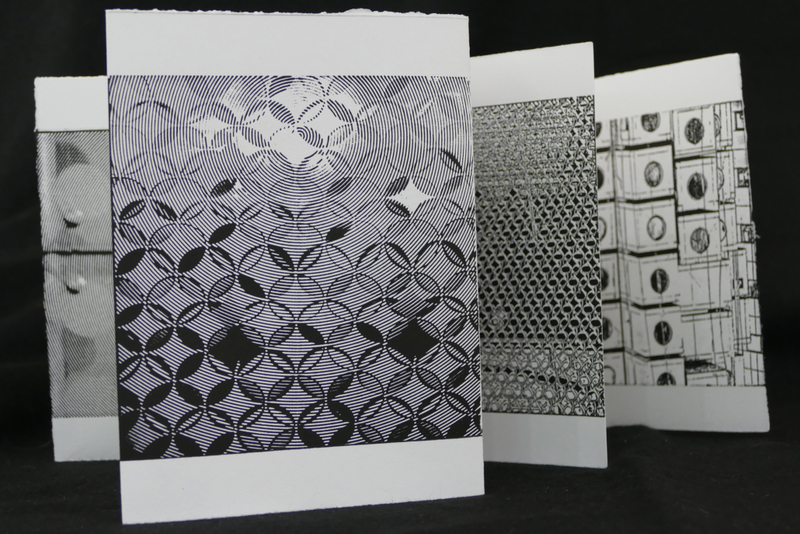 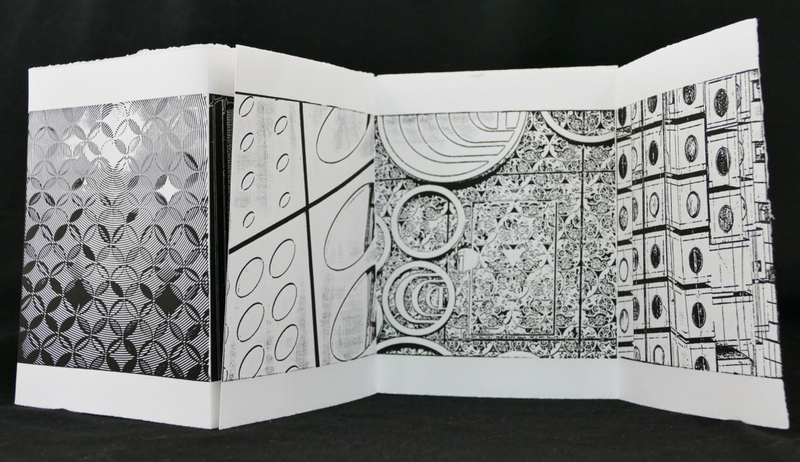 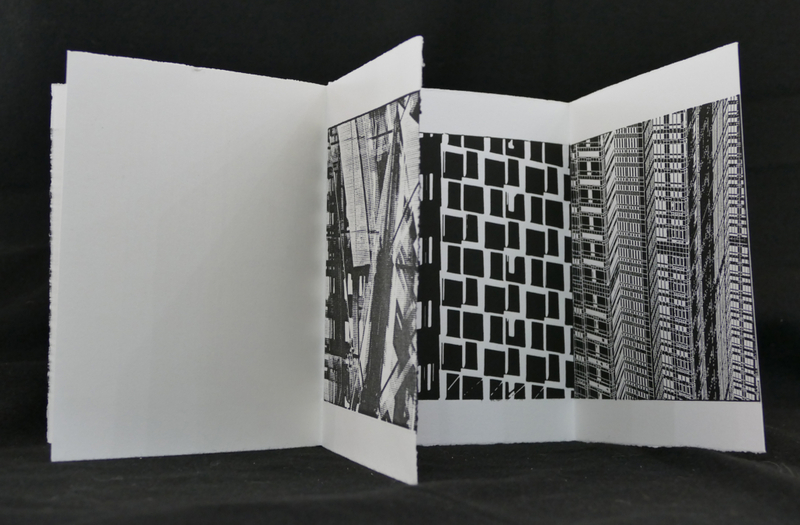 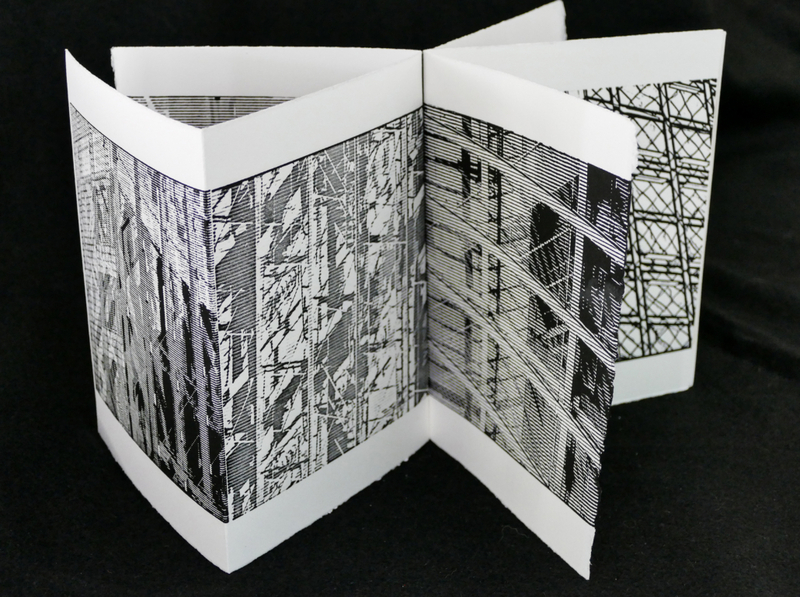 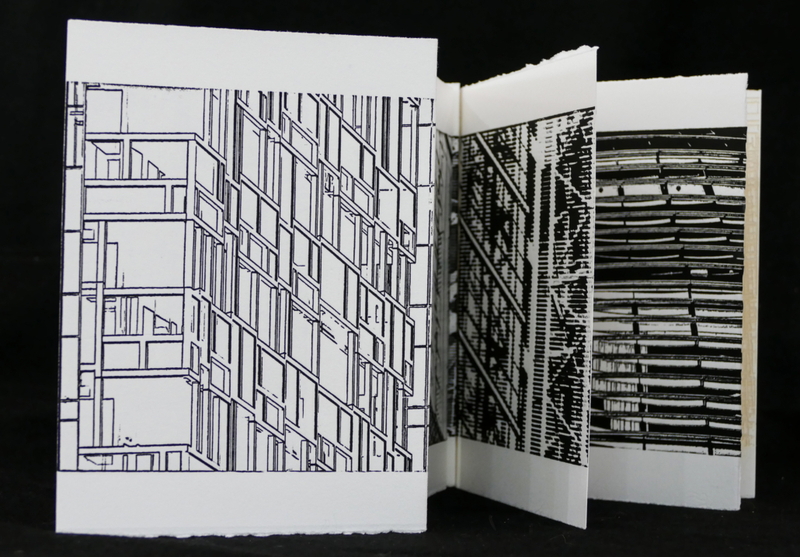 capturing MAgic through Form is an artist book, using black and white versions of my woodcut prints from my capturing MAgic series in a hand held context. 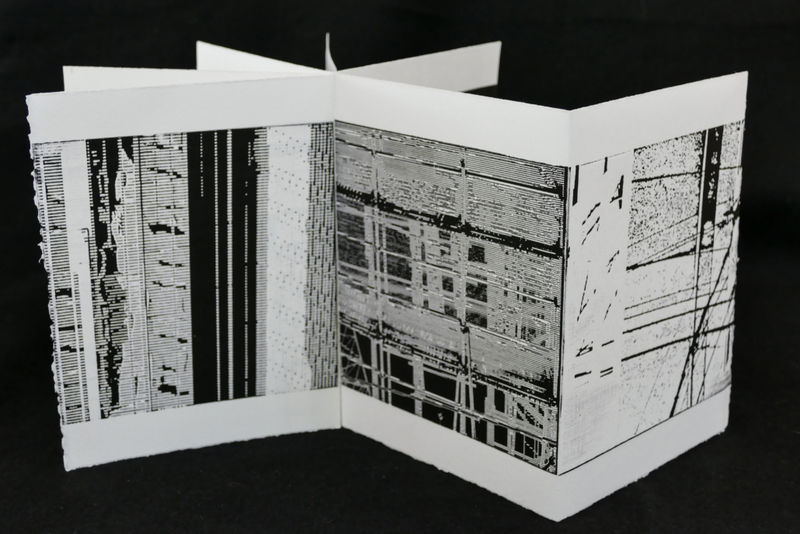 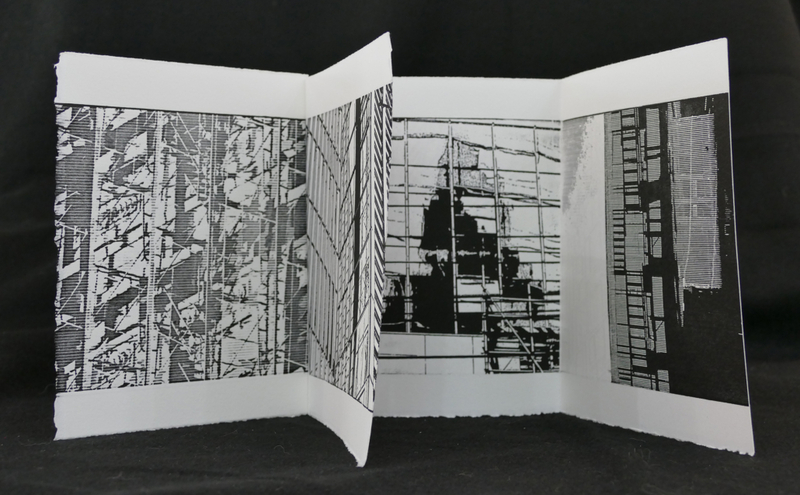 This third approach to my multi-tiered project (capturing MAgic and caTchIng a gliMpsE) unites images that would unlikely be seen together through their formal qualities, and uses the printed image in a sculptural way with woodcuts seen on both sides of each page. 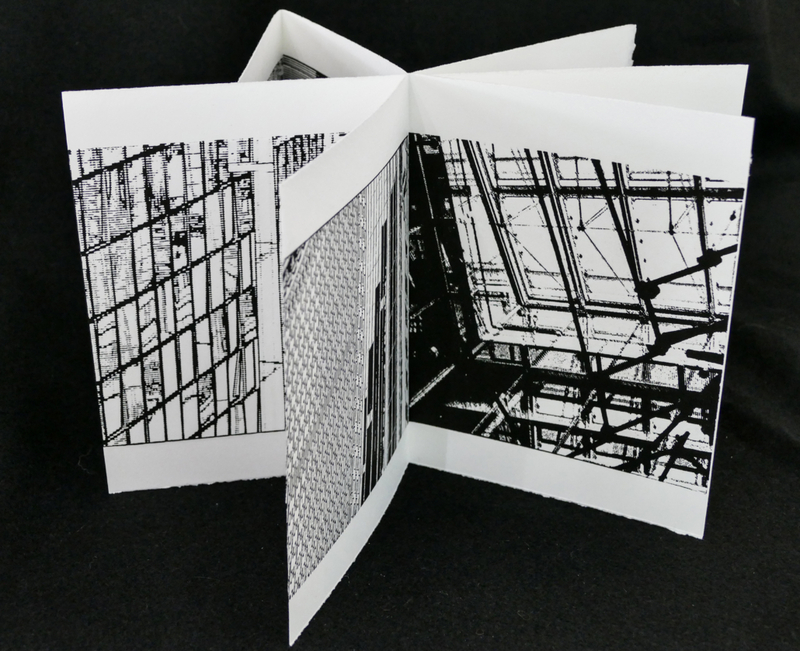 When photographing images for this project, I specifically chose structures that would accentuate the visual ideas elaborated upon in each section of book. 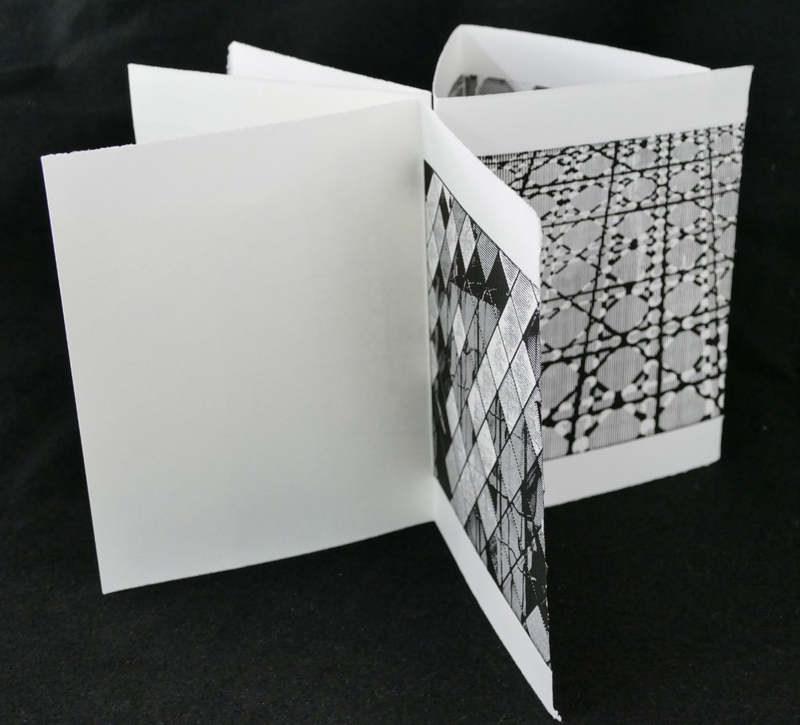 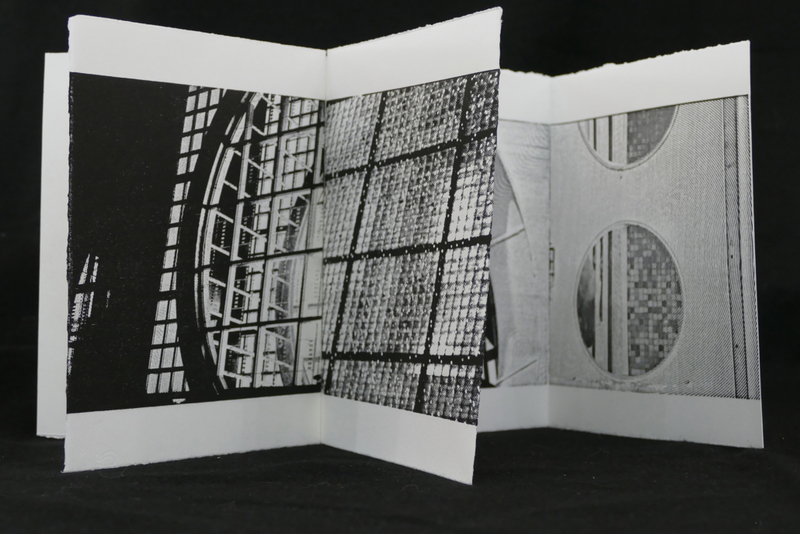 I purposely kept each part bound individually, so as to reinforce the different configurations the pages can be folded in each section, and to offer the most flexibility within the complete set, since there is no set order for viewing the book. 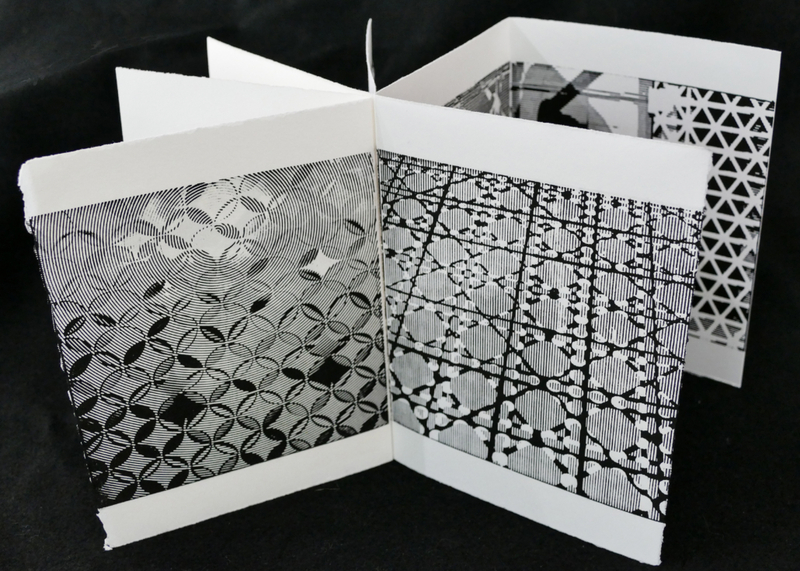 The different sections include: Abstractions, Circles, Diamonds, Grids, Lines, Rectangles, Squares and Triangles. 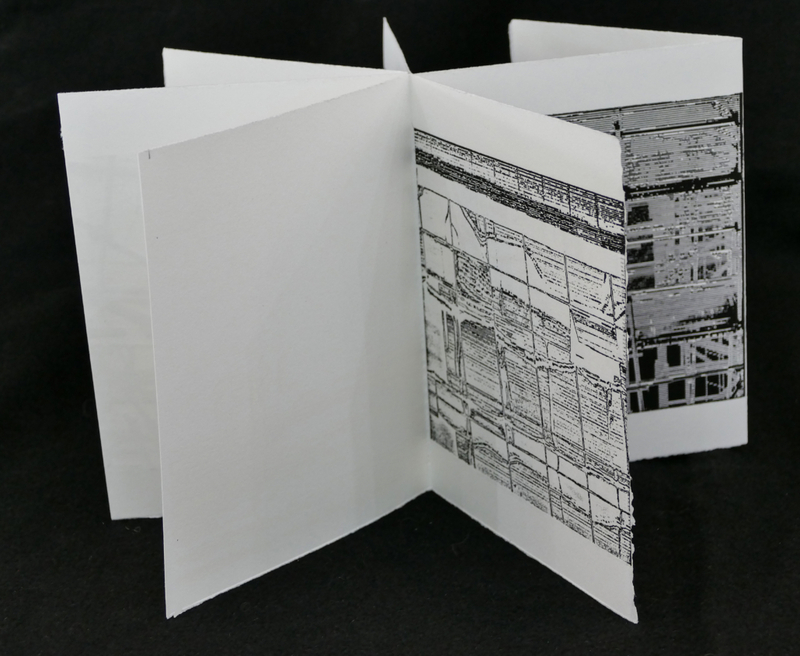 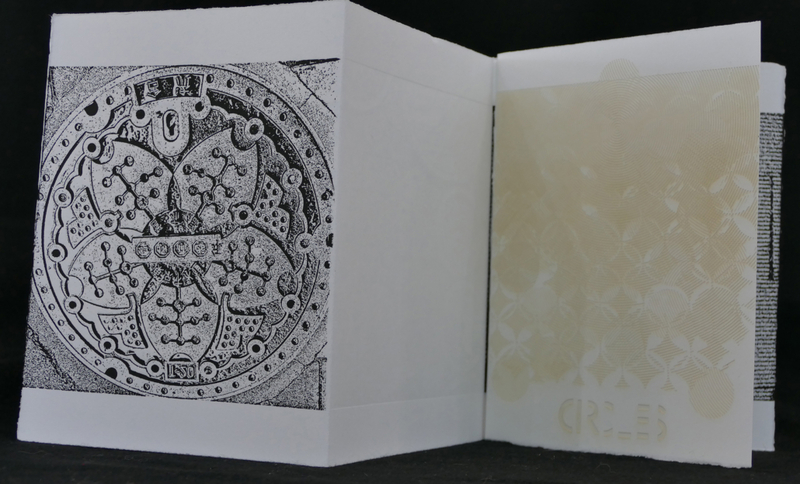 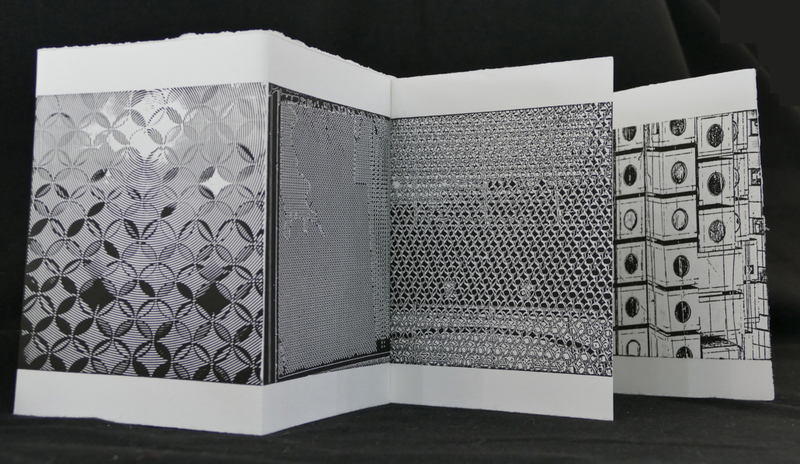 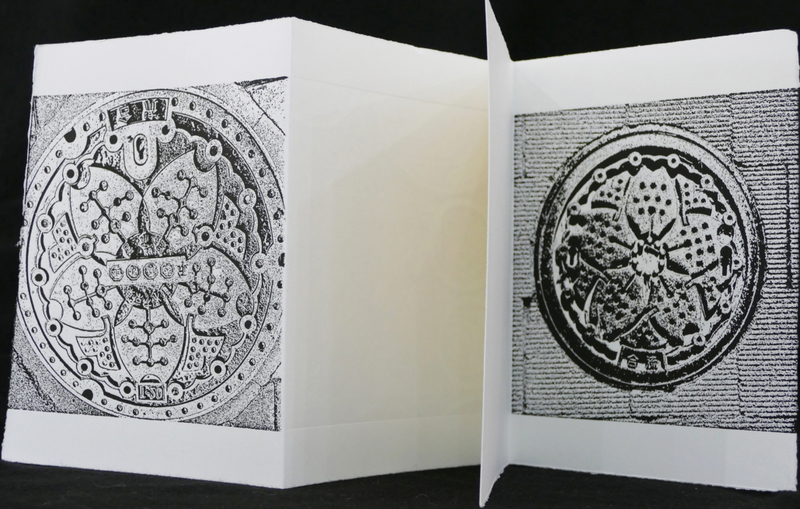 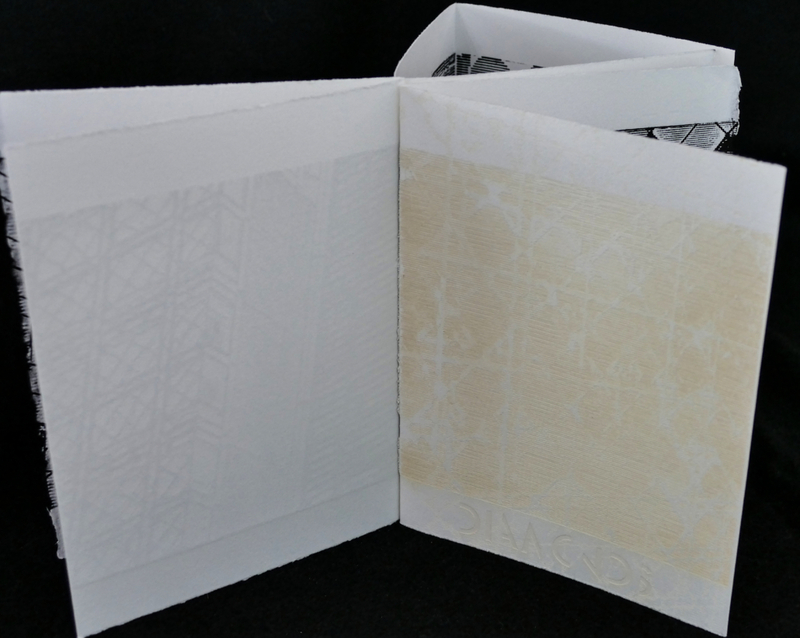 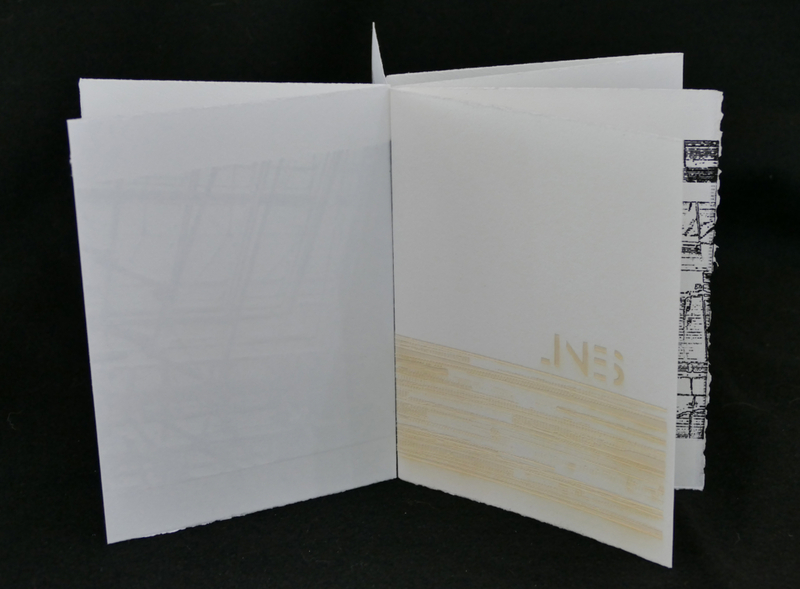 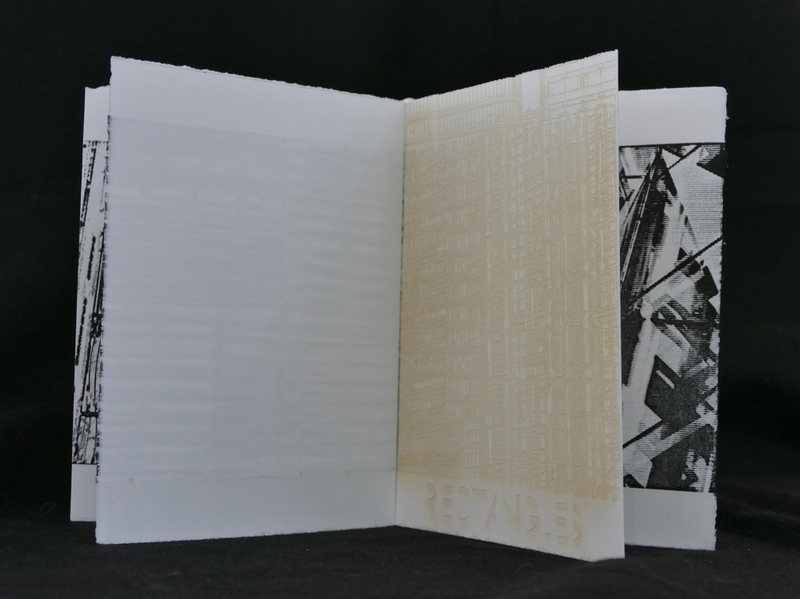 Covers for each of the sections are laser etched, while each of the pages are woodcuts.